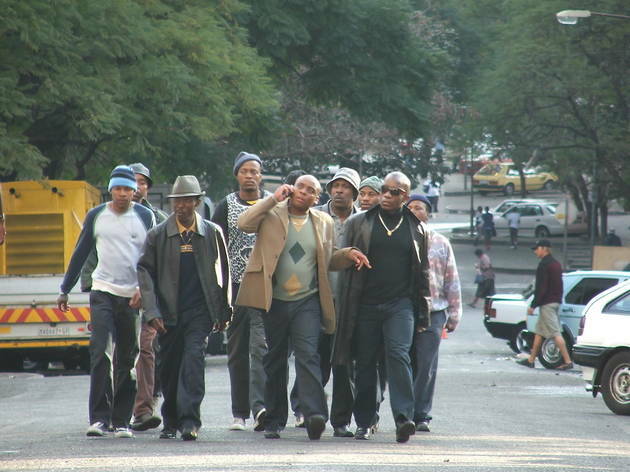 Life in post-apartheid South Africa becomes a poor man’s ‘City of God’ in this bullet-riddled Johannesburg gangsta chronicle which never quite manages enough socio-political heft to disguise its rampant genre clichés. The boyhood pal along for the criminal ride, the idolised neighbourhood crook, the disapproving mum, the turncoat former associate, the climactic rooftop confrontation – it’s all here and more, in a movie which quotes from Michael Mann’s ‘Heat’ in a key heist set piece. Writer-director Ralph Ziman strings it all together with slick competence, but given that leading man Rapulana Seiphemo does a persuasive line in moral ambiguity, it’s disappointing that the proceedings too often default to glib shoot-’em-up rather than digging deeper into the historical moment. 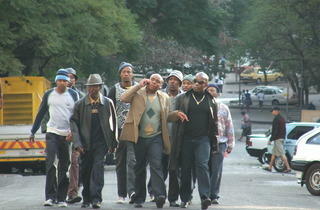 Loosely based on actual events, the film suggests that while waiting for the ‘new’ South Africa, disgruntled township residents like Seiphemo’s Lucky twisted the politics of entitlement into a ready excuse for their own rampaging criminality – but ultimately can’t decide whether to condemn or condone such action.